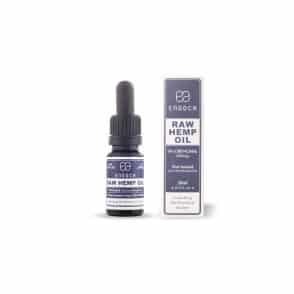 1 bottle containing 300mg of raw CBD liquid. Containing over 80 different phyto cannabinoids, including CBD, CBC, CBG, and CBN, the oil is rich in naturally occurring terpenes, the most common of which are Myrcene, Limonene, Alpha & Beta -pinene, Linalool, B-caryophyllene, Caryophyllene oxide, Humulene, Nerolidol og and Phytol. In addition, other natural molecules found in the oil include Alkanes, Nitrogenous compounds, Amino acids, Sugars, Aldehydes, Ketones, Flavanoids, Glycosides, Vitamins, Pigments, Water and Hemp Seed Oil. *CBD is a natural constituent of the hemp plant.